The crowdfunding campaign to raise funding to help make the Ubuntu Edge smartphone a reality, via Indiegogo, has broken all previous crowdfunding records. The previous most successful project in history was the Pebble Smartwatch, which raised $10.2 million. At the time of writing the Ubuntu Edge project has raised $10.7 million. However the Ubuntu Edge crowdfunding effort looks like it will fail, as it is only a third along the path to its goal of $30 million with only five days left. The Indiegogo fundraising project comes to a close on 21st August at 11.59pm Pacific time. 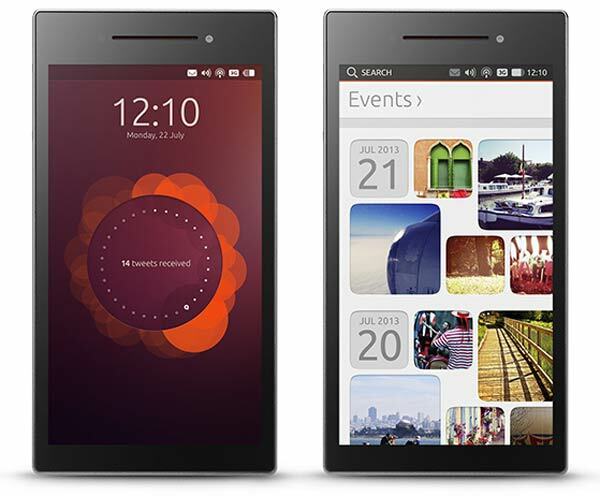 If you haven't heard about it before the Ubuntu Edge is intended to be "a low-volume, high-technology platform, crowdfunded by enthusiasts and mobile computing professionals", embodied in a smartphone. This smartphone aims to be the core of a converged computing platform; "connect to any monitor and this Ubuntu phone transforms into an Ubuntu PC, with a fully integrated desktop OS and shared access to all files". Users should be able to "transition seamlessly" between the two environments. The smartphone will also be able to boot the Android OS. The project organisers have a design teaser ready but don't want to issue proper finalised hardware specifications as yet as they want to incorporate the best components available at the time of production. Having said that, the base specs should give the smartphone "the raw power of a PC" and will include at least 4GB of RAM, 128GB of storage and the fastest available multi-core processor. Also the project team state they will use silicon-anode technology battery cells to maximise the size/power ratio of the battery. The 720 x 1,280 pixel 4.5-inch sapphire crystal screened device will also be equipped with an MHL and USB OTG connector and a dual LTE chipset. In addition to the 8mp low-light rear camera, 2mp front camera the phone will be equipped with GPS, accelerometer, gyro, proximity sensor, compass, barometer sensors and NFC. For people who want to contribute and are optimistic about the project and its chance to succeed a $695 pledge will score you an Ubuntu Edge smartphone, all being well (this price includes shipping in the UK and USA). Other lower contributions are available to show your support. So the question is, does the record really count if they don't achieve their target (as they obviously will not receive any funds unless it is achieved)? I'm pretty sure they will get there. IIRC, they had some big American telcom backers like Verizon and T-Mobile. Though they are not bringing their phone to the market they should get Samsung to build a version and get Google to incorporate this feature into the android for next generation of phones. This feature plus a wireless leap motion controller with a laser keyboard can allow for use on TV's with hdmi anywhere. Also with Google's glasses and voice commands the system can literally replace laptops and ultrabooks. Android breaks the deal for me. I would be interested in seeing how the Desktop OS works on it !